We are instinctively created, as part of our basic survival, to avoid pain. We will do everything we can to push it away – blame, project, shame, deny, minimize, berate, distract, and medicate, just to name a few of our strategies. Yet when disappointment happens – and it will happen – in every setting and in every relationship – how we handle disappointment makes all the difference. 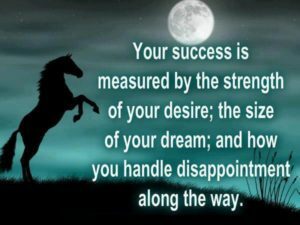 So how do we use disappointment to leverage success? How do we recover when our expectations have not been met? How do we heal when we’ve been betrayed, abandoned, or let down? 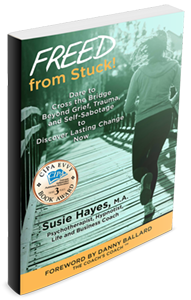 How do we move through the pain, rather than avoid it or get stuck in it? Acknowledge the loss. Disappointment hurts. Moving through disappointment is essentially a grieving process. It means grieving what was lost in the expectation. If grieving doesn’t happen, it’s impossible to move through the pain. Avoid major decisions until you’ve moved through the loss. Be willing to move through the pain. Not over it, not under it, not around it. Through it. This doesn’t mean getting stuck in the muck, but dealing with disappointment is usually messy. Here’s the good news about grieving disappointment – the pain subsides. Echoes of the pain may reappear as additional healing is needed, but it does subside – as we choose to move through the pain. Identify all of the elements of disappointment. Be honest, and be thorough. You want to clear all the pain. Sometimes disappointment in the present activates unresolved disappointment from the past. No worries. State observant and learn. You’re designed to heal – just keep moving through. Find a safe, compassionate place to deal with the pain. Find someone you trust who will not climb in the pit with you; rather will hold your hand steady as you find your way through. Find someone who’s not intimated by your pain or feels the need to talk you out of it. Remember – it’s about going through the pain and trusting yourself in the process. 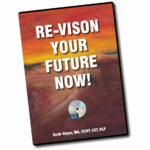 Get fresh perspective, only after the emotions (hurt, anger, fear, shame, etc.) have been processed. Pull the lens back to see the bigger picture. Sometimes I ask clients to visualize the memory of their disappointment moving below their feet, as their body rises above it. This allows for new perspective, insight, and information. It can be quite empowering and enlightening..
Identify the gift. Every disappointment offers a learning opportunity rich with insight and wisdom. Every disappointment is a gateway to a better strategy. The gifts bring hope. Accept that disappointment is part of life. If you’re showing up, following your heart’s desires, or building your dream, you’re taking risks. Taking risks means that you’re going to be disappointed along the way. You’re going to hurt. You’re going to grieve. Engaging in life means that you’re going to disappointment others. Disappointment happens, and it passes, as your heart heals. Avoid self doubt. As you allow yourself to observe and learn, you gain inner resources you didn’t have before the disappointment occurred. Trust in your ability to recover and be restored. Use what you’ve learned in the loss to leverage your success.